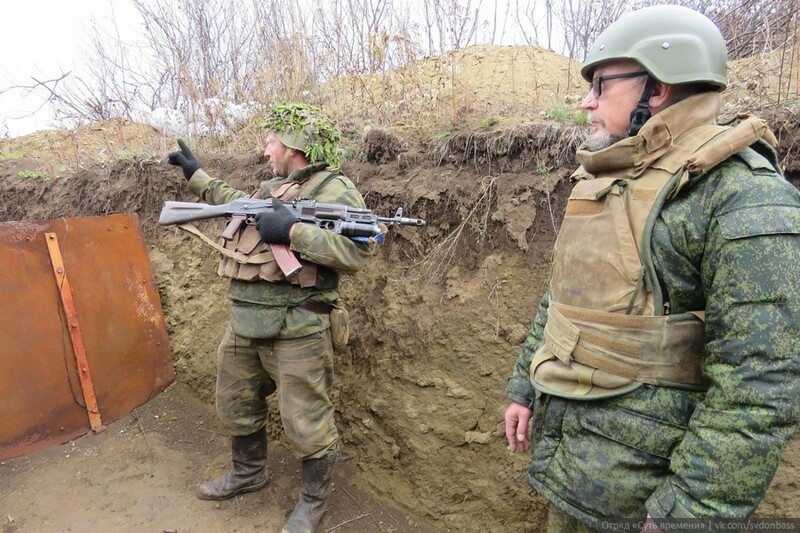 Our filming crew visited the positions of DPR People’s Militia 3rd brigade in the area of Zaytsevo and Verkhnyaya Zhovanka villages north of Gorlovka. On the enemy’s side, approximately 100 meters away from our fortifications, flies the flag of the USA. 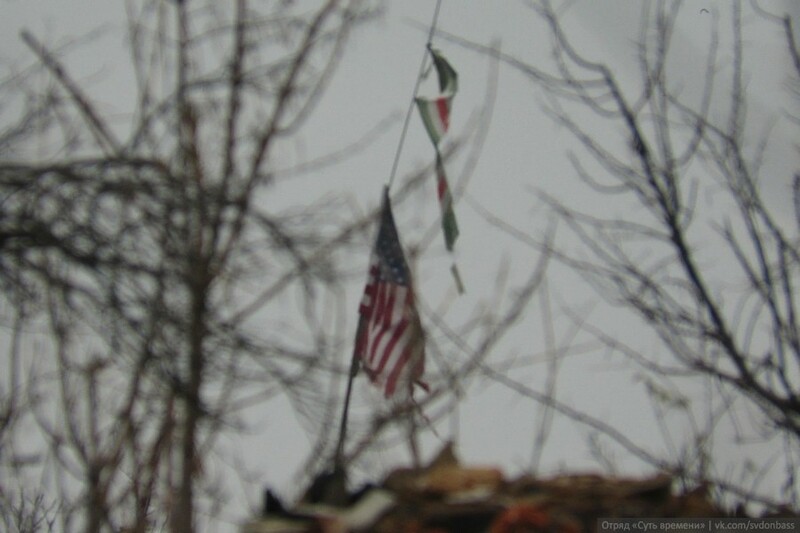 Besides it is another flag, torn, presumably of the terrorist “Republic of Ichkeriya”. According to the soldiers, the enemy on this part of the front acts quite boldly, constantly provokes trench combat, conducts raids. We are preparing detailed photo and video reports. Stay tuned. 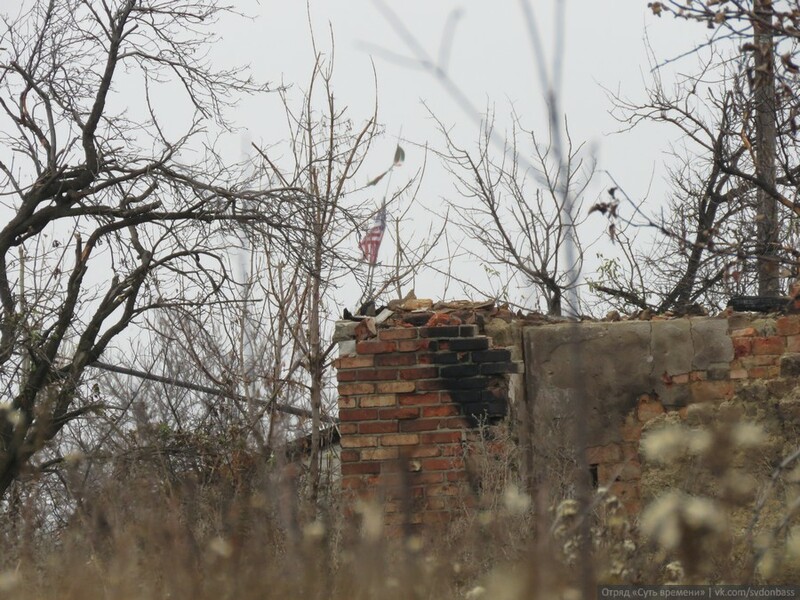 This entry was posted in News from Ukraine and tagged DPR, Ukraine, USA. Bookmark the permalink.